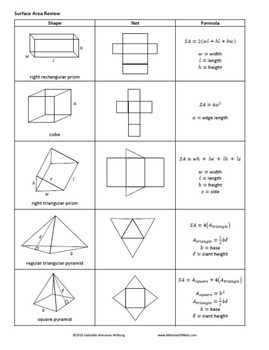 Middle school level notes on 3D figures (right rectangular prism, cube, right triangular prism, regular triangular pyramid, and square pyramid), their nets (2D representations), and each figure's formulas for surface area. 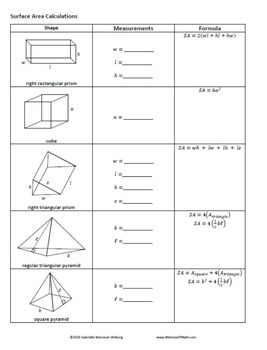 Includes a construction activity for each figure and a sheet for recording measurements and calculations. 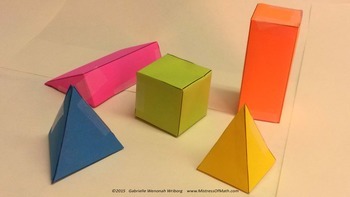 I also have used the constructions as part of a fantastic bulletin board!